The manufacturer recognized more than $640,000 in total benefits and cost savings over a three-year period, according to Forrester. The manufacturer, with annual revenue of nearly $20 billion, used Wdesk to automate financial data collection throughout its global enterprise, streamline a complicated review and reporting process and benefit from cloud-based security protections. Prior to Wdesk, the manufacturer used a combination of emails and disconnected word processing, spreadsheet and presentation software to manage and report financial data. “With Wdesk, the manufacturer was able to aggregate, compile and review reporting tasks in a more expeditious fashion, enabling it to meet its reporting deadlines, increase productivity and mitigate security concerns,” wrote Forrester. “Wdesk has generated a tremendous ROI, and from an organizational perspective, it has been a no-brainer for us,” said the manufacturer’s SEC and External Reporting Manager. 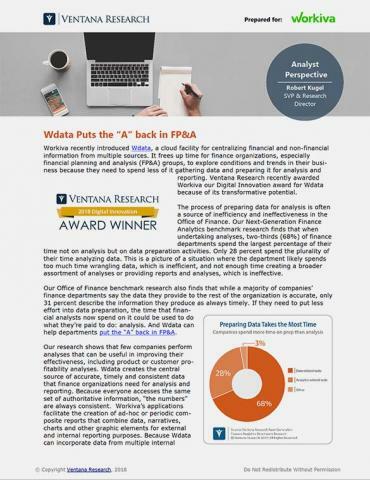 Saved $138,000 by using Wdesk to collect data for financial reporting. The company changed from a process that manually compiled financial data from 600 emails with document and spreadsheet attachments to a streamlined Wdesk process that automatically collects the data and sends notifications. The company used Wdesk to reduce its workload related to global data collection and aggregation by 90 percent. The scalable and secure Wdesk cloud-based platform resolved data-breach concerns of the former process that shared pre-released financial data in unencrypted emails. Saved $317,000 by using Wdesk to manage data and create documents and reports. Wdesk enabled simultaneous collaboration across the company’s many regions as teams compiled financial data into a centralized, linked and version-controlled platform. Wdesk became a central repository of verified data, which could be linked to any required reports, thereby reducing errors and eliminating repetitive work. Saved $187,000 by using Wdesk for its financial review process. The company reduced the workload surrounding multinational financial reviews by 75 percent by using Wdesk for black-line comparisons, tracking contributors’ modifications and creating digital reports. The company saved 100 hours per year in the review process. Workiva commissioned Forrester Consulting to evaluate the benefits of Wdesk to enterprises. 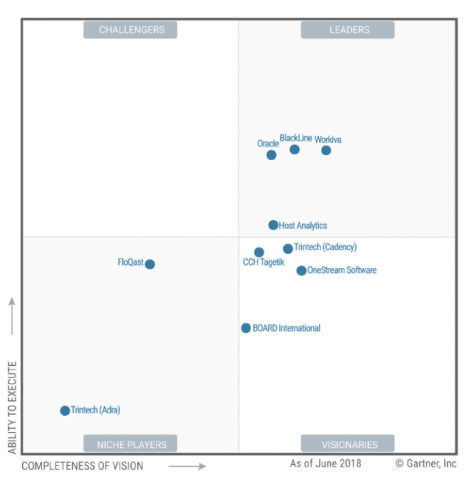 In addition to interviewing several experienced Wdesk customers, Forrester’s research approach included gathering usage data and constructing a risk-adjusted financial model to measure benefits, costs, flexibility and risks. This is the second in a series of studies that Workiva has commissioned with Forrester. About Workiva Workiva (NYSE:WK) created Wdesk, a cloud-based productivity platform for enterprises to collect, link, report and analyze business data with control and accountability. Thousands of organizations, including over 65% of the Fortune 500, use Wdesk. The platform’s proprietary word processing, spreadsheet and presentation applications are integrated and built upon a data management engine, offering synchronized data, controlled collaboration, granular permissions and a full audit trail. Wdesk helps mitigate enterprise risk, improve productivity and give users confidence to make decisions with real-time data. Workiva employs more than 1,100 people with offices in 16 cities. The company is headquartered in Ames, Iowa. For more information, visit workiva.com.